The Silver Peacock offers the finest range of luxury tableware in New York, including full range of table accessories, table linens, barware, and cater ware and also have the option to customize most of the items offered. Tableware and everything that relates to dining, entertaining, and the love of great food & wine, Is the heart of our business. With over 30+ years’ experience that combines not only the world of luxury tableware & luxury lifestyle, the owner of the silver peacock also has the privilege of working daily for many years with some of this country’s finest chefs. And has vast knowledge of fine food & wine, bringing a perspective to table top unrivaled in this industry. We work with all our clients individually to create services specific to their needs! We build services much the same way one would assemble a wardrobe. Starting with a base, and then adding various accessories that give us a variety of possibilities within one service. You don’t dress the same every day, why would you set the table the same? We are equally as comfortable working with your private chef or house mangers to create cuisine driven table services. With the resources of the finest luxury European tableware manufactures and workshops there is something for every aesthetic and dining style. We also have the option to customize most of the items were offer, and can create completely bespoke items as well. In addition to china crystal and flatware we also offer a full range of table accessories, table linens, barware, and cater ware. 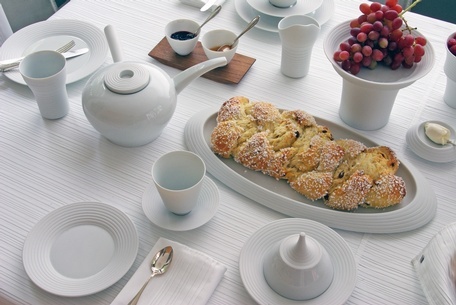 The core of our tableware collections consists of 4 companies: PORCELAINE LEGLE, MARIE DAAGE, HERING BERLIN & ISI MILANO. Legle, a third generation Limoges company, it is known for its intense glazes and innovation in various new techniques in working with glazes and color on porcelain, with a palette of 36 colors and the widest selection of shapes available. Maire is based in Paris with studios located in Limoges France. 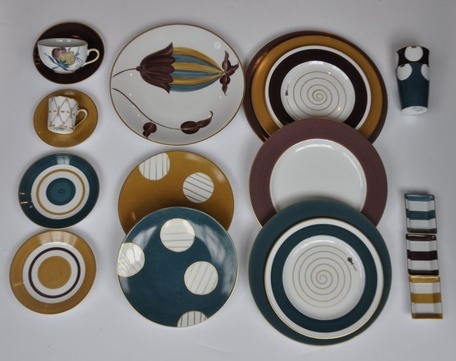 Marie represents the tradition of hand painted porcelain presented in a way that is completely fresh and modern…. with a palette of 78 colors and over 100 designs available. Produced by hand in Berlin, this tableware is the epitome of chic. Designer and ceramics expert, Stefanie Hering, founded her porcelain factory in 1992. Today, Hering Berlin manufactures tableware, drinking glasses, table textiles and lamps. 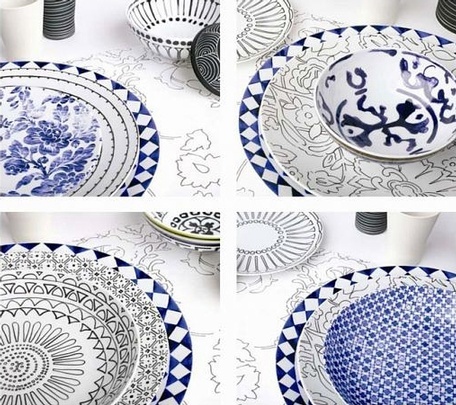 Irreverent, happy china, makes you smile… these are some of the reactions when people first see Isi Milano… This everyday porcelain collection is designed by noted Italian fashion designer Rosaria Rottin.